"Thank you for making the best desserts in the City, and always coming up with new creations like the sour cherry cake and the praline tart - my friends always look forward to your desserts!" Signature Desserts is strongly committed to giving back to our community by donating to events and causes that are important to our customers, company, and employees. To be considered for a donation, download the Donation Request Guidelines and Form (pdf), print, complete, and return to us. Signature Desserts position regarding Charitable Organizations follows the state of Pennsylvania requirements as shown below. If your charity is not listed on the PA Dept. of State website as a bonafide charitable organization, we regret to inform you that we will not be willing to contribute to your charity. The PA Solicitation of Funds for Charitable Purposes Act, 10 P. S. § 162.1 et seq., requires organizations soliciting charitable contributions from Pennsylvania residents to register with the Bureau by filing a Charitable Organization Registration Statement (pdf) unless they are excluded or exempted from the Act. For additional information on excluded or exempt organizations in Pennsylvania, please refer to the Bureau's Exclusions and Exemptions Chart. An institution of purely public charity which receives contributions of less than $25,000 per year provided that the institution's program service revenue does not equal or exceed $5,000,000. NOTE: Google Maps directs you to the wrong shopping center. 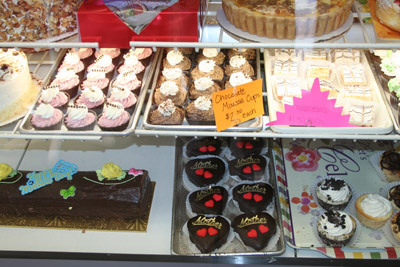 Signature Desserts is located in the Shannon Center not the Stoner Center as directed by Google. When inputting our location into your directions on your iphone, please indicate Shannon Center at 3360 Library Road.